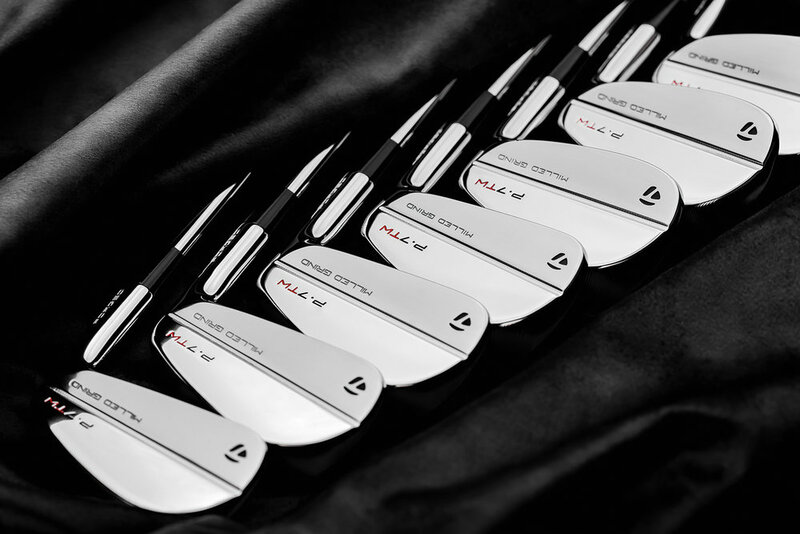 TAYLORMADE GOLF COMPANY ANNOUNCES RELEASE OF P•7TW™ IRONS—A PREMIUM SET OF BLADES CO-DESIGNED BY TIGER WOODS & TAYLORMADE GOLF – "The Home of Organic Golf Reviews"
CARLSBAD, Calif. (April 8, 2019) — TaylorMade Golf Company announced today the highly anticipated release of P•7TW, a premium players iron set designed and crafted in collaboration with Tiger Woods. 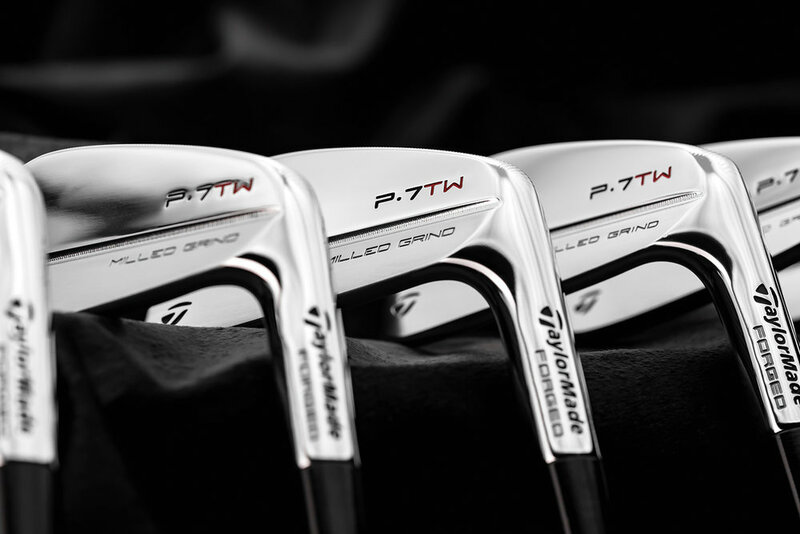 P•7TW irons combine the inherent minimalism of precision forged muscle back blade-style irons with technology and exactness of TaylorMade’s Milled Grind sole and tungsten weighting for flight control and unique feel specific to Tiger. No player on the planet scrutinizes golf equipment quite like Tiger Woods so the design and creation of his irons presented a significant challenge for the design team. With Tiger’s keen discernment top of mind, TaylorMade’s team spent countless hours unpacking decades of learnings from Tiger and Mike Taylor’s previous design experiences, all of which have led Tiger to the high level of performance and craftsmanship he demands today. Utilizing this critical information, the team spent hundreds of hours testing, relentlessly fine-tuning and creating nine design iterations through years of development to create the perfect set of irons for Tiger. When players look down at each individual iron, they’re looking at the culmination of every range session, event, victory and major championship from Tiger’s illustrious career. 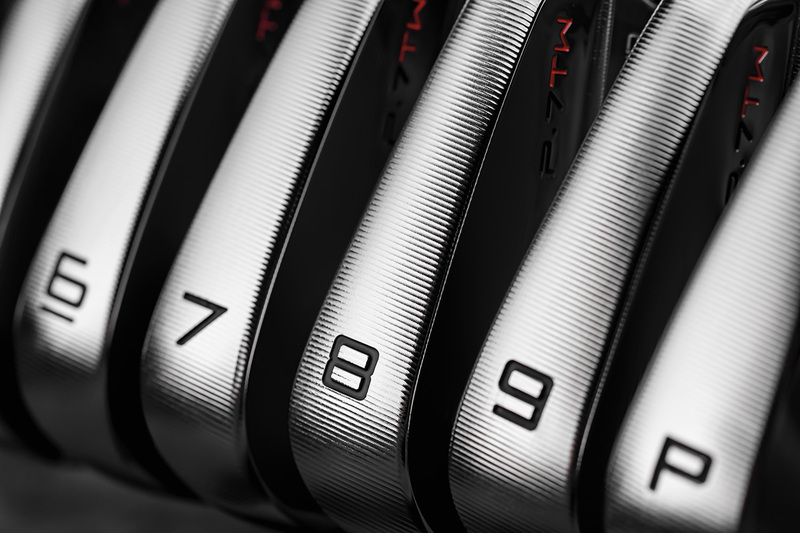 P•7TW irons were not crafted as a set — rather, each head has been individually and meticulously engineered to meet the highest of performance demands. TaylorMade’s R&D and product creation teams studied decades worth of club specifications and worked directly with Tiger to refine every sole, every contour and every groove. With an emphasis on precise trajectory control, incredible workability and smooth turf interaction, each iron has been meticulously shaped to meet Tiger’s discerning eye. Each P•7TW iron utilizes many of the same design elements such as blade lengths, face height, CG progression, sole geometry, score lines, and tungsten weighting, etc., that Tiger himself has in the bag. It is not widely known that Tiger uses precise amounts of tungsten weighting behind the sweet spot of his irons to improve their feel and performance. In golf, tungsten is typically used to achieve a specific CG location—however, Tiger Woods is no typical player. Instead, by optimally placing tungsten within the head of each P•7TW iron, they deliver a unique blend of feel, flight, and control for Tiger to play his best. 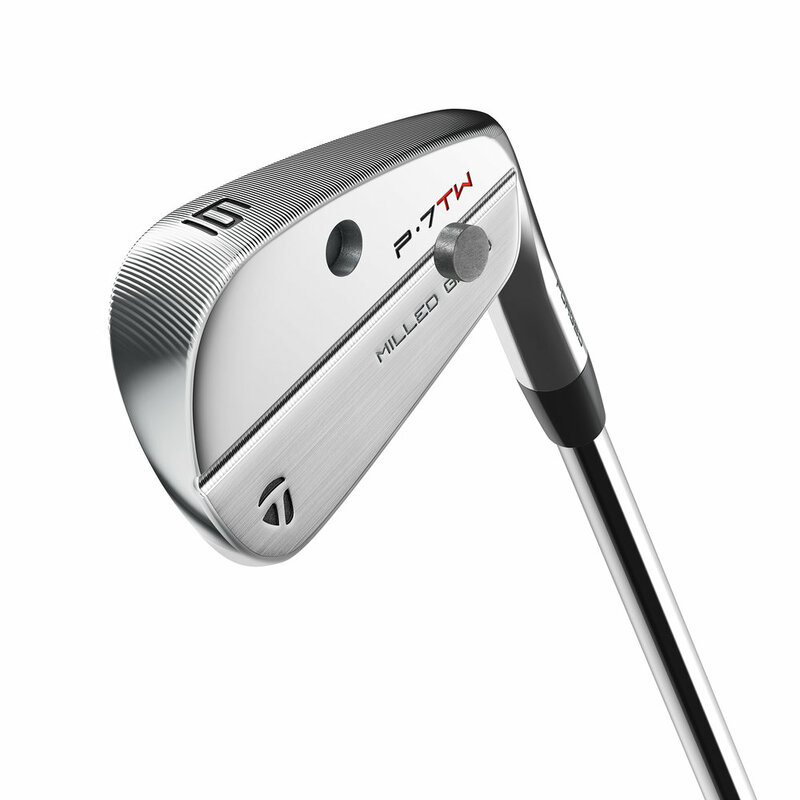 Available for preorder starting today and available for custom order deliveries beginning May 1, the P•7TW($2,599.99 CAD) in Tiger’s specifications come 3-PW (RH) and equipped with True Temper Dynamic Gold S400 Tour Issue shafts and Golf Pride’s Tour Velvet Cord grips. 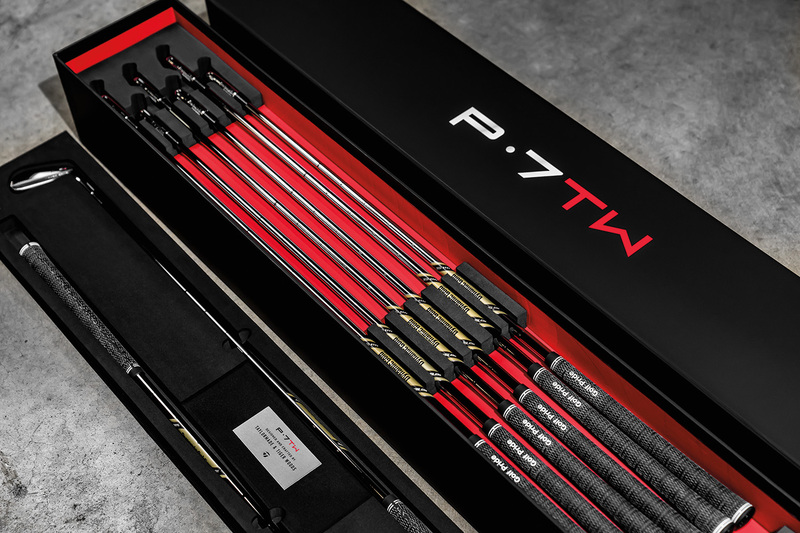 The P•7TWis available through TaylorMade’s custom program, allowing for numerous additional custom shaft and grip options.